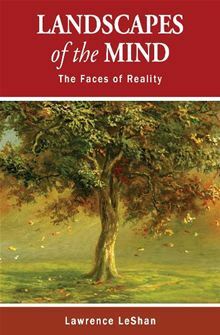 This is to acquaint you with the latest brilliant book by Lawrence LeShan, PhD, whom many of you already know. I think he is one of the major figures who have changed the direction of psychotherapy and psychoanalysis from the great days of Freud and his view of the unconscious to the “new” positive therapies. I first heard LeShan 40 years ago in a conference on death and dying at Riverside Church in New York. He and Elisabeth Kubler-Ross presented their unique thinking about how to approach death: Kubler-Ross with her five stages of grief leading to acceptance, and LeShan’s idea of fighting for life which often lead to remission. His focus was always on finding your “zest for life” as a way of working with cancer. I think that Simonton and Dr. Bernie Siegel stand on his shoulders in this field. Talking with LeShan is an experience of vast ranges of motion and levels of thought, studded with spontaneous quotes from Plato to Margenau. He heard lectures of Milton Erickson when he was a resident psychologist at Eloise Michigan Hospital, and said to me once, “Maybe I got my ideas of the healing power of finding your zest for life listening to him.” Two of his many books were about cancer treatment: “You Can Fight For Your Life” and “Cancer as a Turning Point”. Click here for a pdf with the description of his wonderful book. This entry was posted in Uncategorized by NPatten. Bookmark the permalink.